Since 1975, Community First Foundation, has been assisting generous donors and innovative nonprofits come together to improve the quality of life and create positive change throughout Colorado. In 2006 Stortz collaborated with Community First to re-brand and better reflect their leadership, momentum and power to impact the communities they serve. 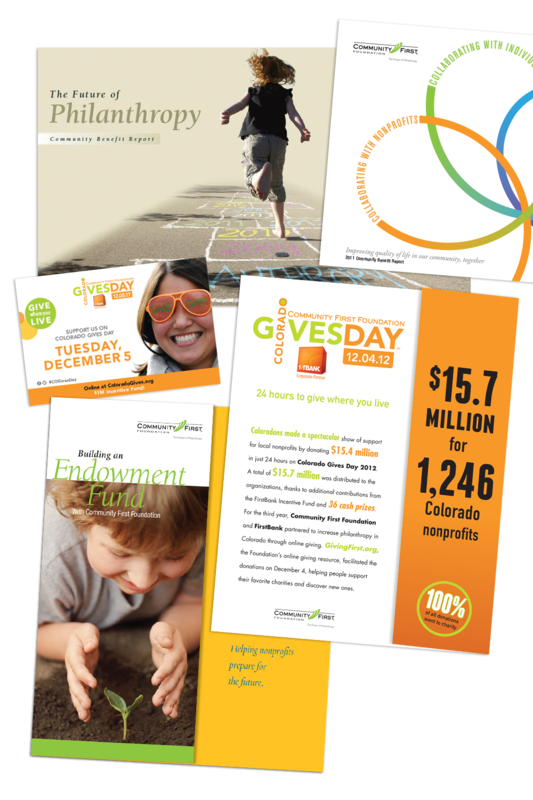 This brand foundation was extended to ColoradoCives.org and the creation of annual promotional materials for Colorado Gives Day.